The Siege of San Antonio de Bexar. Texas | Columns | "A Glimpse of Texas Past"
Austin was more of a statesman than a soldier, but he was eager to fight, and he marched his army toward San Antonio de Bexar on the morning of October 13. His force soon grew to nearly 400 strong. They would face more than 700 well trained Mexican soldiers under the command of General Martin Perfecto de Cos, the brother-in-law of Dictator Santa Anna. 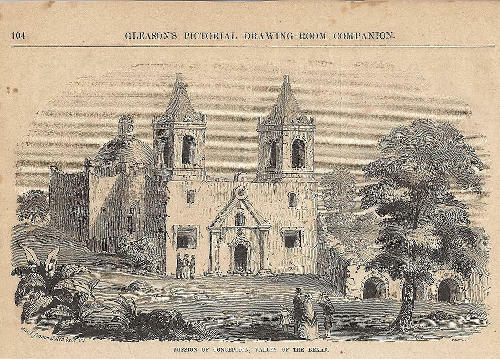 "Mission of Concepcion, Valley of the Bexar"
1854 engraving from "Gleason's Pictorial Drawing-Room Companion"
O n October 27, Austin ordered Jim Bowie and James Fannin to take 90 men and locate a defensible position somewhere near San Antonio for the Texas army to set up camp. Bowie and Fannin were to return immediately after locating the site and report to Austin. Late in the afternoon, the Texans selected a campsite along the San Antonio River about 500 yards west of Mission Concepcion, approximately 2 miles from San Antonio de Bexar. However, instead of returning to Austin and the main body of the army as their orders specified, Bowie and Fannin posted pickets along the river and in the mission tower, then set up camp for the night. 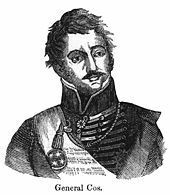 Realizing that the Texans had foolishly divided their forces, General Cos ordered Colonel Domingo Ugartechea and 275 men to launch an early-morning attack. Although outnumbered three to one, the Texans had selected an excellent defensive position located in the trees on a horseshoe bend of the river. The big bend provided a natural crossfire, and the trees allowed the Mexican cavalry little room to maneuver, limiting Ugartechea to the use of his infantry. The range of the Texans� long rifles also far exceeded that of the Mexican Brown Bess muskets, and the gunpowder the Texans used was of a much finer grade. After several Mexican assaults were repelled with heavy losses, Colonel Ugartechea ordered a withdrawal. Austin and the remainder of the Texas army arrived 30 minutes later. 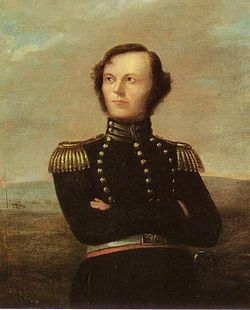 Austin was convinced that Mexican morale would be at low ebb after suffering a defeat by such inferior numbers, and he was in favor of launching an immediate assault on Bexar. However, Bowie and the other Texas officers talked him out of this strategy, believing that the town was too heavily fortified. Towards evening, Austin permitted the Mexicans to remove their dead from the battlefield; estimates of the dead range from 14 to 76. Richard Andrews was the only Texan killed and one man was wounded. 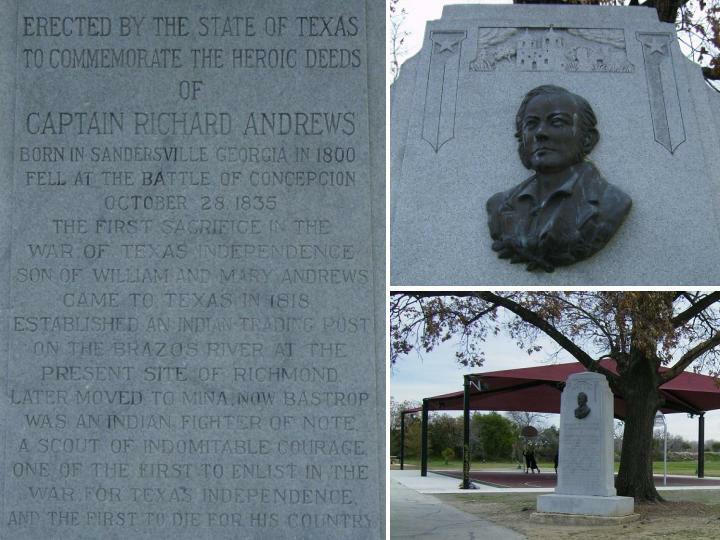 Texas Centennial Marker commemorating Captain Richard Andrews, "The First Sacrifice in the War of Texas Independence"
On November 1, Stephen Austin sent a message to General Cos suggesting that he surrender, but the General returned the message unopened with a message of his own, stating that he refused to correspond with rebels. After a reconnaissance of the town revealed fortifications were stronger than the Texans believed, Austin called for a council of war. The council voted to lay siege to Bexar, and to wait for more reinforcements and artillery before launching an attack. Many of the undisciplined volunteers, impatient with the war council�s decision, did not hesitate to voice their displeasure, and Austin complained to the provisional government in San Felipe about their undisciplined and drunken behavior. Texas reinforcements soon arrived under the command of Thomas J. Rusk, bringing up the strength of the volunteer army to 600. However, General Cos also received additional troops, and his forces now totaled 1200. In addition, the Mexicans fortified the town square and placed cannons on the walls of the Alamo, an old mission on the outskirts of town. In light of these developments, most of the Texas officers believed they had little choice but to continue the siege. Meanwhile, Sam Houston arrived in San Felipe de Austin from recent treaty talks with the Cherokees, expecting to find a gathering of the Consultation. When he discovered most of the delegates were off fighting in the siege of Bexar, he decided to join them. Upon his arrival, Stephen Austin offered Houston command of the Army of the People, but he declined. Houston understood that it was far more important to chart the future course of Texas and establish a provisional government than it was to throw General Cos and his troops out of San Antonio. 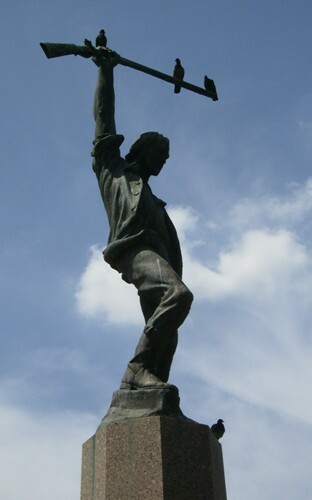 After Houston gathered the members of the Consultation, they were released from the army and returned to San Felipe to continue their deliberations. Once the Consultation reconvened, the delegates voted to uphold the Constitution of 1824, rather than move too quickly toward independence. This angered many of the hot-bloods eager for independence, but most of the delegates were not yet ready to burn their bridges. After the crucial vote was cast, Sam Houston was named general-in-chief of all Texas forces except the men fighting in San Antonio, and Stephen F. Austin was designated to travel to the United States to rally support for the Texas cause; a position for which he was eminently suited. 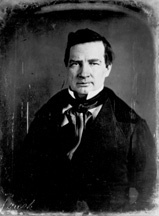 Edward Burleson, Austin�s second-in-command, was elected Major General and placed in command of the troops at San Antonio. As the Consultation continued to struggle over the issue of independence, the siege of San Antonio dragged on, and the Army of the People began to slowly dissolve. Since most of the men were farmers and ranchers and no fighting was taking place, they simply drifted away and returned home to work their farms and protect their families. To make matters worse, the Texans were soon humiliated at what came to be known as the Grass Fight. On November 26, Erastus �Deaf� Smith, one of Burleson�s scouts, arrived with news that a column of Mexican soldiers was approaching Bexar leading a train of pack horses and mules. The Texans suspected that the pack animals were carrying a payroll of silver for the Mexican troops. However, when a hurried attack was organized and carried out against the column, it was discovered that the pack train was carrying nothing but grass to feed the Mexican horses. Discouraged with the boredom of what appeared to be an endless siege, most Texans were ready to give up and head home, when they received some welcome intelligence from a few Bexar citizens. According to the helpful residents, the morale of the Mexican soldiers was low, and they were beginning to run out of supplies. 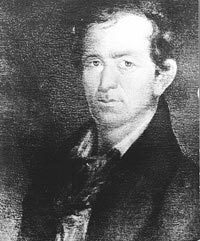 Eager to fight, Ben Milam came to his feet at a meeting called to discuss the situation and loudly demanded, �Who will go into San Antonio with old Ben Milam?� Three hundred men, who were just as angry as Milam and more than ready to fight, came to their feet with a roar of approval. The long-awaited attack was launched on December 5. 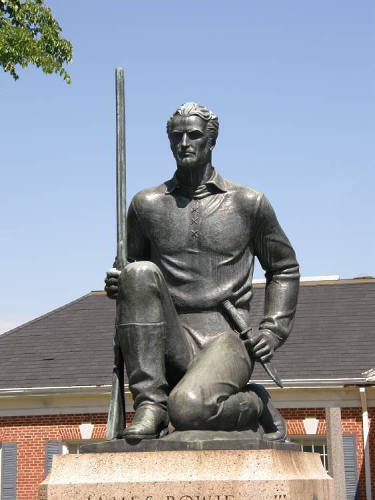 Hendrick Arnold, a mixed-race free man, led Ben Milam�s division into battle and was praised for his valorous service. 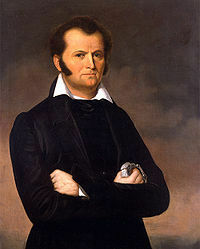 One of the first Texans to fall was Milam himself, who later died of his wounds. A free African American, Greenbury Logan, was wounded shortly after Milam fell, suffering injuries that left him disabled. The fighting proved to be close and fierce, as the equally matched opponents struggled from house-to-house for control of the town. Casualties continued to mount on both sides as the battle raged on. After five days of hard fighting, the bloody struggle finally came to a close, when General Cos ordered his men to lay down their arms and hoist the white flag. According to the terms of surrender, the General agreed to turn over all the money, supplies, arms, and property held by the Mexicans. He also pledged to never again oppose the Constitution of 1824. In exchange, Cos was permitted to lead his soldiers out of Texas. Naively believing that the crisis had come to an end, most Texans went home to celebrate their hard won victory. However, General Santa Anna was determined to hold Texas for Mexico. He immediately set out to gather a large army south of the Rio Grande in preparation for a march north to punish the Texas revolutionaries. The stage was now set for the epic Battle of the Alamo. Barker, Eugene Campbell (1985), The Life of Stephen F. Austin, Founder of Texas, 1793-1836, Austin TX: University of Texas Press, ISBN 0-292-78421-X, originally published 1926 by Lamar & Burton. Barr, Alwyn (1990), Texans in Revolt: the Battle for San Antonio, 1835, Austin, TX: University of Texas Press, ISBN 0292770421, OCLU 20354408. Davis, William C. (2006), Lone Star Rising, College Station, TX: Texas A&M University Press, ISBN 9781585445325, originally published 2004 by New York: Free Press. Edmondson, J.R. (2000), The Alamo Story-From History to Current Conflicts, Plano, TX: Republic of Texas Press, ISBN 1-55622-678-0, OCLU 42842410. Fehrenbach, T.R. (2000), Lone Star: A History of Texas and Texans, Cambridge: Da Capo Press, ISBN 0-306-80942-7. Groneman, Bill (1998), Battlefields of Texas, Plano, TX: Republic of Texas Press, ISBN 9781556225710, OCLU 37935129. Hardin, Stephen L. (1999), Texian Iliad - A Military History of the Texas Revolution, Austin, TX: University of Texas Press, ISBN 0292730861, OCLU 29704011. Roell, Craig H. (1994), Remember Goliad! A History of La Bahia, Fred Rider Cotten Popular History Series, Austin, TX: Texas State Historical Association, ISBN 087611141X, OCLU 30667624. Winders, Richard Bruce (2004), Sacrificed at the Alamo: Tragedy and Triumph in the Texas Revolution, Military History of Texas Series: Number Three, Abilene, TX: State House Press, ISBN 1880510804.